How do I frame my art prints? A question I'm asked repeatedly. 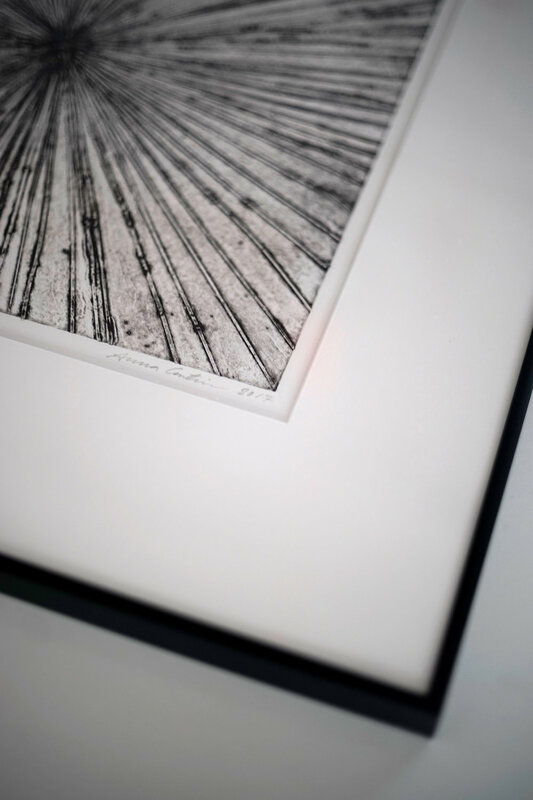 In this post I'll tell you my favourite ways to frame prints and the questions you should consider when deciding on how to frame your art print. What material do I want for my frame? Which colour do I want the frame to be? Do I want a passepar-tout around the print or do I want the edges of the paper to be visible? What size should the frame be? 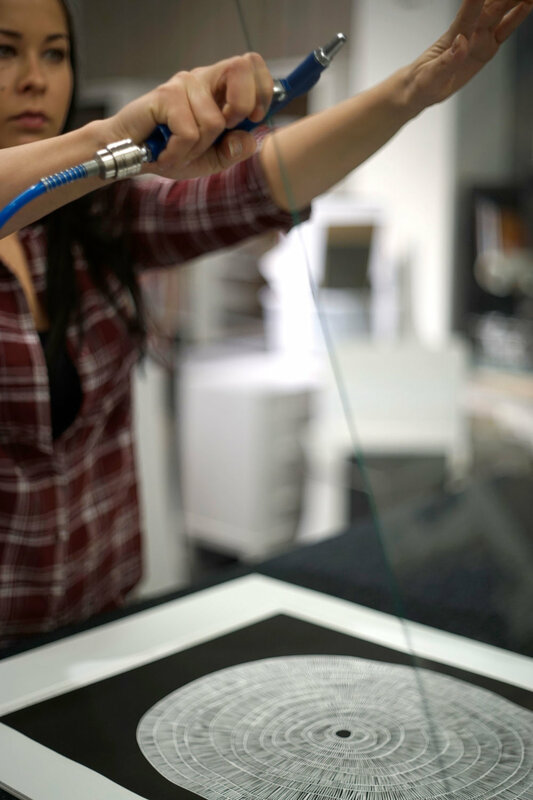 Before we delve into each question I want to emphasize that going to a good picture framer who will help you choose the right durable materials and custom frame for your precious art piece is very important. 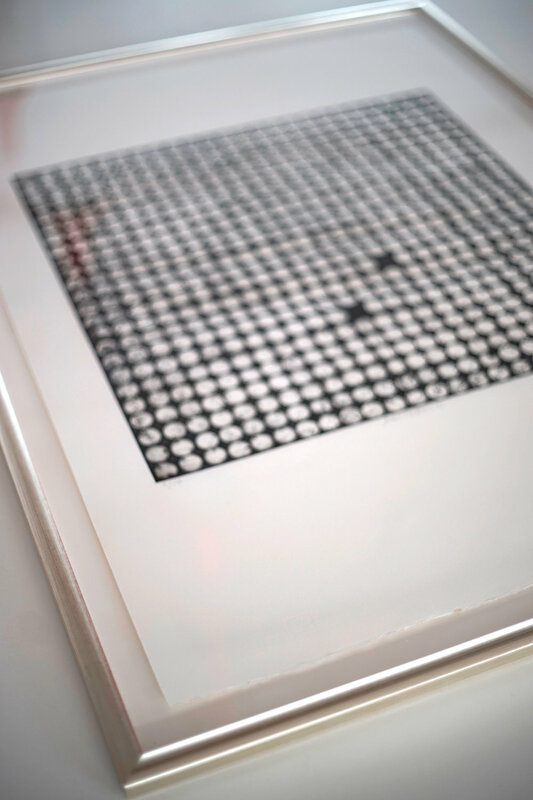 Never use anything but acid free materials for framing your art print! I frame my prints at Ninris Ramverk here in Stockholm and couldn't be happier with the result. 1. WHAT MATERIAL DO I WANT FOR MY FRAME? The most common materials are wood or metal. Metal frames can be thinner than wooden ones. I prefer wooden frames because of the texture. The perfect frame for me would be a wooden frame, as thin as possible without rounded corners. If you prefer the look and texture of wood, go for that option. If you want a frame that is as thin as possible, choose metal. 2. WHICH COLOUR DO I WANT THE FRAME TO BE? Frames come in a variety of colours. For the black and white graphic style of my art I would go for black or white. When choosing colour always consider the wall where you're going to hang your print. Also consider if there any other paintings close by that have frames in a certain colour or shape. How will the wall, the paintings and the furniture in the room form a harmonious entity? A black frame will be more accentuated and if the artwork is more on the light side with a lot of white space then I would choose black. 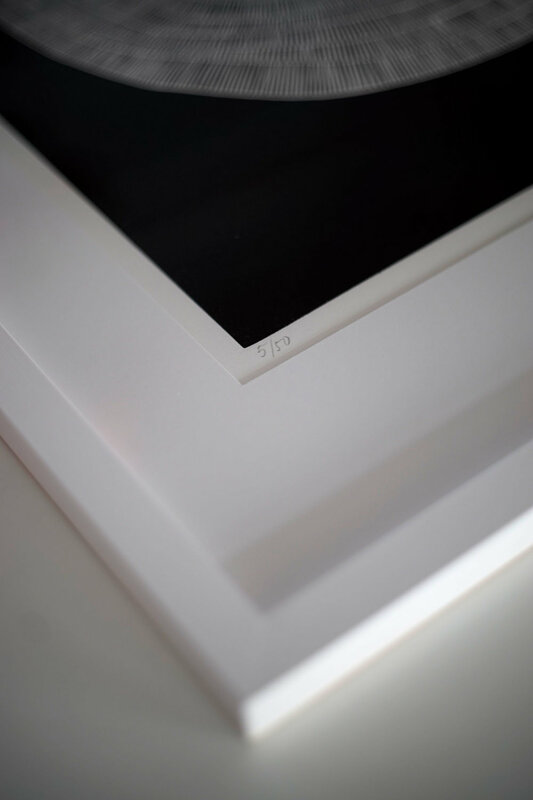 On the other hand if you prefer a very light subtle style, then a white frame is a good option. When the image has a lot of black areas or rectangular form, white is a nice option. With that said, black or white, you can't make a bad choice here. 3. DO I WANT A PASSEPAR-TOUT OR DO I WANT THE EDGES OF THE PAPER TO BE VISIBLE? A passepartout, or picture mount, is an acid free cardboard with a cut out slightly bigger than the image that is mounted on the print. 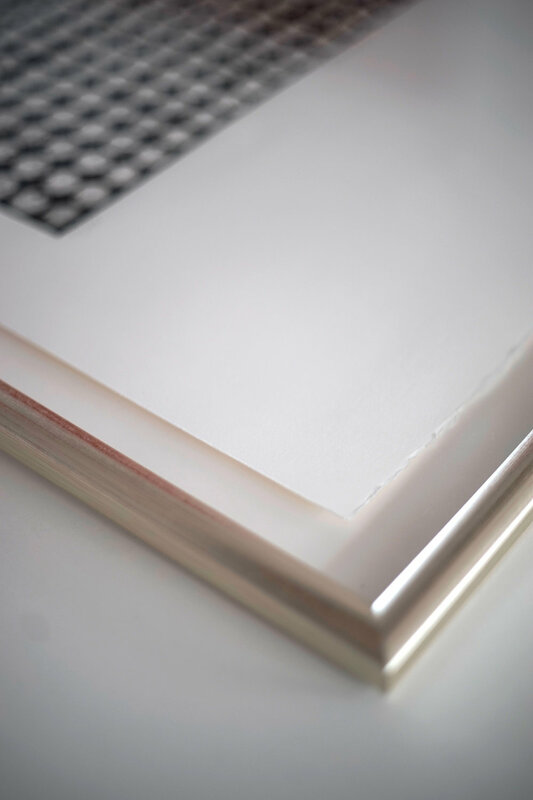 When choosing a passepartout, be careful that the colour goes well with the colour of the print paper. The paper that I use for my prints has a rough upper and lower edge which I really like. So instead of a passepartout I prefer to mount the print on black or white cardboard. 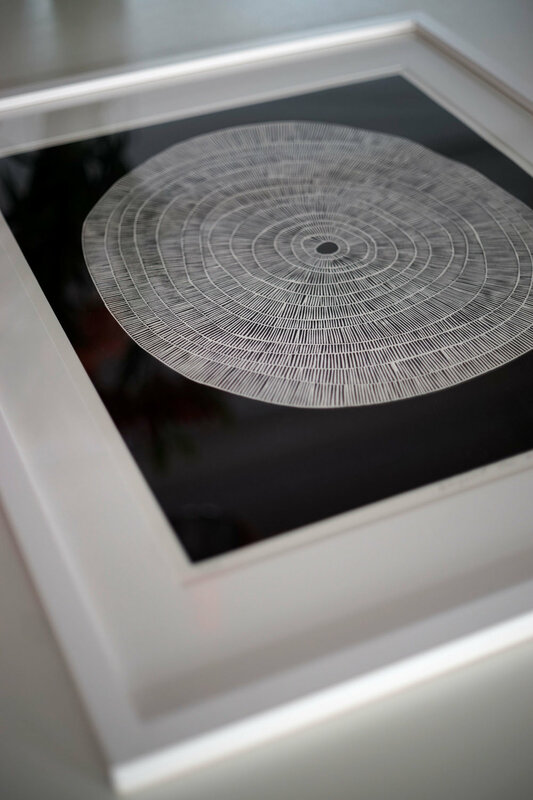 The print is mounted with a small space to the cardboard which gives it a nice floating effect. When mounting on a white cardboard, as with the passepartout, be careful of the nuance of the cardboard. Make sure that the tape and the cardboard used is acid free and will not get yellow with time. Passepartout or not, it's really up to you. A passepartout will have a more painting like feeling to it or mounted on cardboard will show off the rough edges and the water mark on the paper. 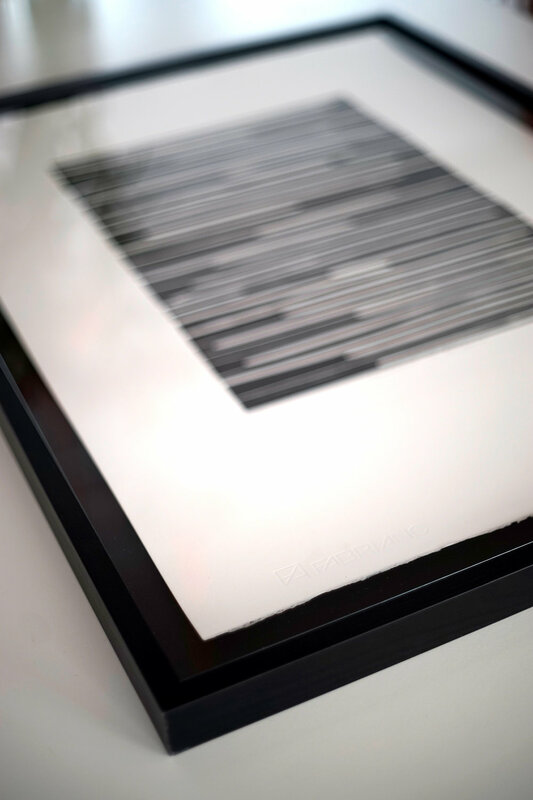 When using a black frame the passepartout or background cardboard can be black or white. With a white frame, stick to white. 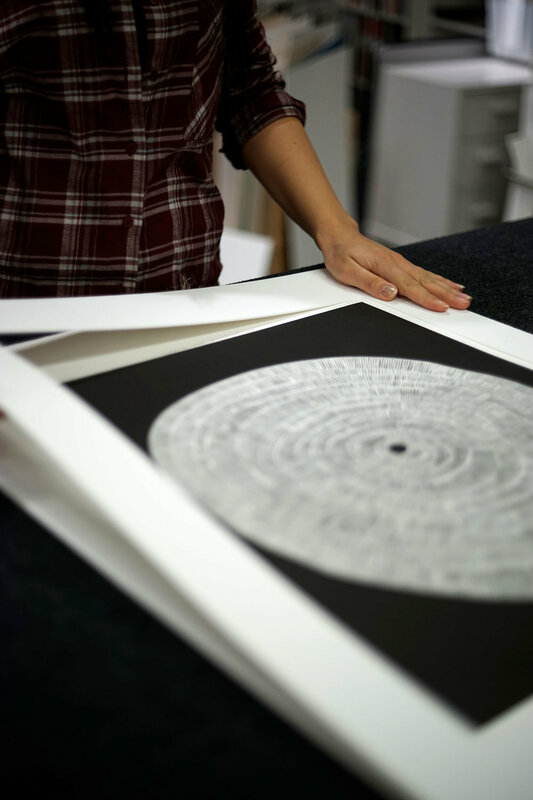 When framing with the print mounted on a cardboard you want to choose a frame with some depth, a so-called box frame. A picture framer will have them in different depths and will guide you through all the questions and help you make the right decisions for you. 4. WHAT SIZE SHOULD THE FRAME BE? If you have chosen the option with the print mounted on a cardboard, a good distance from the edges of the print paper to the frame is 2-3 cm or about 1 inch. If you've chosen the passepartout, you're more free with the options. My prints are printed on 50x70 cm paper and I like the rectangular shape. With that said, some of the prints that have a square size will have a very large passepartout if you want the passepartout to be even on all sides. For those prints consider cutting them to a smaller size if you want to frame them with a passepartout. 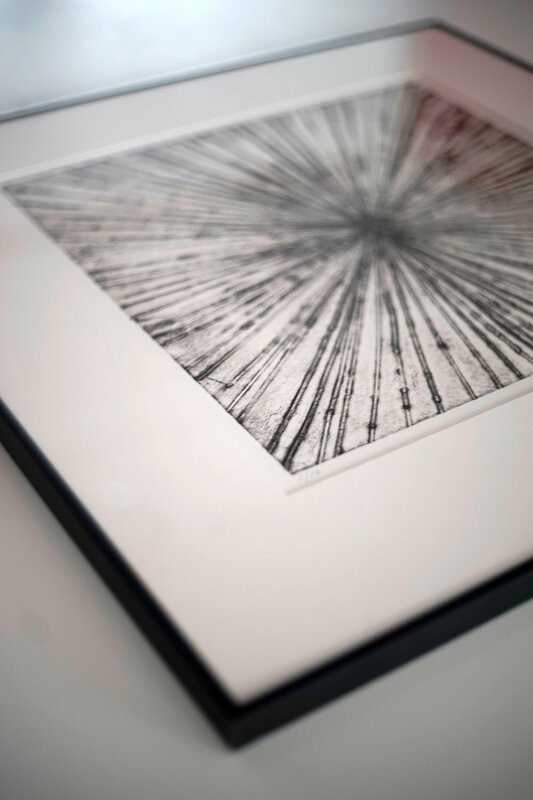 The print in the black metal frame in the photos is an example of that. A passepartout that is around 7-15 cm or 3-6 inches is a good option. 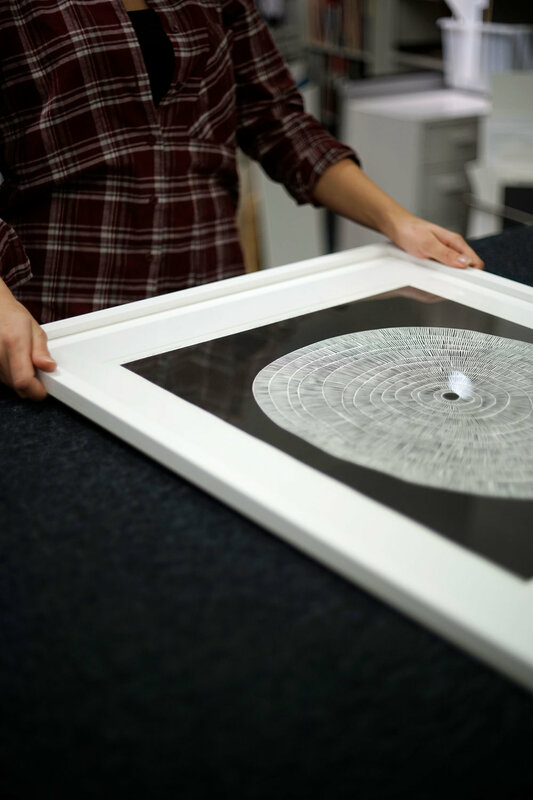 Good luck with framing your art print! If you live in Stockholm I highly recommend my local framer Ninris Ramverk in Sickla.